Coming Full Circle: Making the Case for the Return of the Initial Joint Mediation Session | Jones, Skelton & Hochuli, P.L.C. Early in my career, an initial joint mediation session between the parties, their attorneys and the mediator was the norm, not the exception. Mediators used this initial joint session to educate the parties and attorneys on the differences between litigation and mediation, allowing the mediator to set the stage on how he or she would conduct the mediation. An initial joint mediation session also allowed the attorneys to present their cases to the other side, face-to-face, without their messages being filtered by the mediator or opposing counsel. Finally, it provided the parties an important opportunity to become engaged in the mediation process. Over time, however, an initial joint mediation session conducted by the mediator has become the rare exception. So why the change? And, why am I advocating for the return of the initial joint mediation session? Before making my case, I will address the most common explanations for why mediators, lawyers and the parties abandoned the initial joint mediation session. Mediators contributed to the demise of the initial joint mediation session. Too many mediators refused to adjust their playbook and script during the mediation process. As mediation became more commonplace, lawyers and their clients became more familiar with the mediation process, making the mediator’s long and detailed explanation of the process unnecessary and a waste of valuable time. Less skilled mediators were also more than happy to abandon the joint session in order to avoid losing control. Lawyers also contributed to the decline of the initial joint mediation session. Due to lack of proper preparation and control, lawyers’ opening statements during the initial joint session became confrontational and polarizing and, too often, only served to alienate the other side. Mediators often felt, and rightly so, that they were then responsible for undoing the damage done during the initial joint mediation session. Some lawyers simply refused to give up control over the mediation process. Many feared their clients would say or do something during the initial joint mediation session that would hurt their case. Less skilled lawyers did not recognize the opportunity presented to them by directly addressing the other side, while others did not wish to put in the time necessary to prepare their opening remarks. Still others feared they would be perceived by the other side or their clients as weak if opposed by a more skillful or experienced attorney. 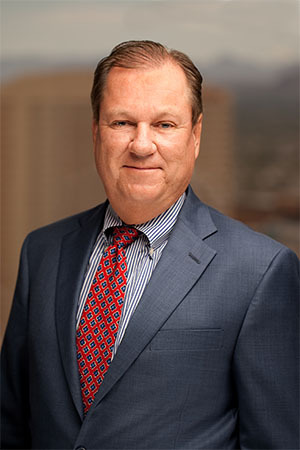 Moreover, the number of lawyers practicing in the Phoenix area has grown exponentially in the past 10 years, bringing about far less familiarity with one another than lawyers used to enjoy. The “fear of the unknown” led to a reduced sense of comfort in participating in an initial joint mediation session. Another common justification given by lawyers and mediators for abandoning the initial joint mediation session was that nothing new was learned, yet mediations took longer and cost more. Many lawyers and mediators also felt litigants would be more candid in private caucuses than in a joint session where the opportunity to advocate, confront and puff was too tempting. And so, over time, the initial joint mediation session began to disappear. Mediators and lawyers settled in to the new comfort zone of mediating cases solely through private caucuses. In doing so, however, mediators and litigants have abandoned a valuable tool in their mediation arsenal. Is there still a place today for the initial joint mediation session in today’s legal climate? Can an initial joint mediation session lead to more success in mediation and higher satisfaction with the process? This mediator says yes. Allow me to make the case for the return of the initial joint mediation session. Let’s start with the basic tenet of mediation: that it is a voluntary process where parties control their own destiny in reaching a compromise of their dispute. I submit that success in mediation can be enhanced by the initial joint mediation session. In order to maximize mediation success, productive dialogue is essential to allow each side to tell their story and better appreciate the other side’s position. An initial joint mediation session also allows the parties to better evaluate whether the other side is serious and committed to finding common ground. It makes defending unreasonable positions much more difficult. Further, in cases where legal issues or a keen understanding of the facts is critical, having the ability to present your case directly to the other side can make the difference between failure and success. There is no better way to test your case or evaluate responses to your position than with the opportunity to speak directly to the other side. An initial joint mediation session can also help discover hidden agendas, wants and needs that can often derail a mediation. From a claimant’s perspective, the initial joint mediation session allows a claimant to become more connected with the process. The importance of this cannot be overstated. Too often at the end of a meditation—particularly where the case did not settle—claimants express frustration at not having the opportunity to tell their story directly to the other side. Many claimants need to tell their story—“vent” if you will—before they are emotionally ready to discuss a reasonable resolution of their case. From a defense perspective, an initial joint mediation session can yield significant benefits. An apology at the start of an initial joint mediation session or explanation of changes instituted to prevent others from being exposed to similar risks made by the litigants themselves can be a powerful message that diffuses anger and leads to case resolution. As an experienced mediator, I have witnessed skilled defense attorneys and, more importantly, their clients, give an honest and heartfelt apology for the accident or incident at hand. When accompanied by a promise to discuss fair compensation for the claimant’s injuries, the claimant’s emotional roadblock is often diffused and discussion for a rational settlement can commence. An initial joint mediation session also allows a skilled defense attorney to direct his or her message to the litigant without fear that the message will be filtered by opposing counsel or the mediator in private caucus. This ensures that a claimant will be forced to view their case in a light that it will likely be presented to a jury, should the case not settle. In cases where an insurance company is involved in the claim, it is not uncommon that claim representatives have evaluated the case in a vacuum, relying on defense counsel’s impression of the claimant and the case. It is not surprising that the value of a case can change dramatically depending on how a claimant presents. Too often, due to busy schedules and differing geographic locations, claim representatives have less opportunity to meet claimants in person. My experience is that claim representatives can dramatically alter their settlement position during mediation after having an opportunity to interact with and evaluate a claimant across the table. Better to learn that lesson in mediation than at trial. Impacting litigants and their attorneys on both sides of the table, communication almost always suffers when the parties are separated. Messages get filtered, intentionally or otherwise by mediators. Mediators become messengers or worse, unduly insert their evaluation and perspective of the case. Good negotiators want to watch, listen and evaluate the other side’s response to their message. This becomes impossible in private caucus. Where parties wish to maintain an ongoing business or personal relationship, or employment status, an initial joint mediation session should be the norm. Joint sessions can be productive during mediation to address specific hot-button issues, navigate an impasse and explore new settlement options. Joint sessions during mediation help keep the parties engaged. They also assist the mediator in reminding the parties of the progress made during the mediation and to obtain a renewed commitment to the process, all of which can ultimately lead to a successful resolution of the case. Sometimes all it takes is for one side to hear that the other is willing to discuss further compromise if the commitment is reciprocated. Consider the reasons why cases settle at mediation. With the assistance of a skilled mediator, attorneys and their clients gain a new perspective of their case that can lead to further compromise. A skillfully prepared and presented opening statement in a joint mediation session provides talking points that empower a mediator to solicit changes in settlement positions during private caucuses. An initial joint mediation session, regardless of whether the case settles, also results in a greater sense of satisfaction and fairness when parties are given the opportunity to participate in the process. It has often been said that in a majority of cases jurors make up their minds after the opening statements at trial. So if opening statements at trial are so critical to the success of your case, why give up the same opportunity during mediation? As a trial lawyer, can you ever imagine allowing the trial judge to make your opening statement for you? As trial lawyers, we mourn the loss of control over the voir dire process. Our natural urge is to control every aspect of a jury trial. Why then would we take the opposite approach in mediation? Assuming I have convinced you to rethink the joint session in mediation, how can both parties make the best use of this opportunity? This is where the skill of the mediator comes into play. I am a strong advocate of conducting a pre-mediation session with the attorneys before agreeing to an initial joint mediation session, as it allows me to understand how best to structure the joint session. A successful initial joint mediation session requires the mediator to maintain control over the process. Ground rules should be discussed and agreed on prior to the mediation, and it is always a good idea to review them with the parties and their attorneys at the start of the joint session. The parties and their attorneys should also know that they have the opportunity to end the joint session at any time. The mediator can enhance the value of the joint session by asking pertinent questions, keeping the participants focused and engaged, and reinforcing the nature of mediation—compromise. Is an initial joint mediation session recommended for every case? Clearly no. Cases involving employment discrimination, elder abuse, or physical and sexual abuse, where the parties are so obviously not on a level playing field, are probably not good candidates for joint mediation sessions. It is always important for the lawyers and the mediator to carefully discuss the benefits and potential pitfalls before proceeding with an initial joint mediation session. If properly prepared and controlled, however, an initial joint mediation session can lead to better mediation results.